Flagstones are your invitation to enter, stroll, swim or just linger-longer and unwind on a bench in the shade. Whatever your fancy. Wonder Rock's range of slate textured pavers are ideal. Flagstones and copings, with their non-slip surface, make for the right choice for swimming pools, atriums and garden pond surrounds. And all Wonder Rock classics are made to the highest quality specification. Hand crafted in simulated stone, flagstones come in a range of earthy tones. 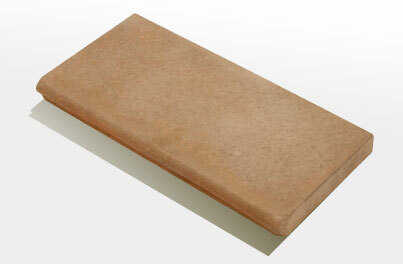 Make your selection from Dark Sandstone, Stone White, Stone, Sandstone and Tuscan. Our authentic French limestones - enduring elegence for other floors or outdoor pathways, patios and terraces - come in Stone White, Biscuit or Cream.